First showing of From Cogan’s Shed (2004). Oil on Linen 183 x 214 cm. 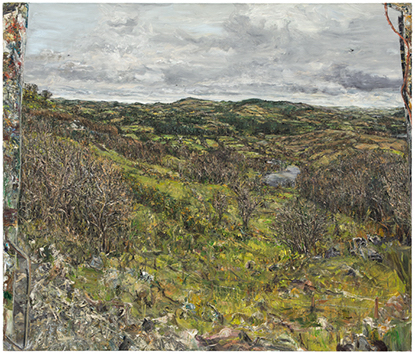 In addition to celebrated artists such as George Barret, Paul Henry and Jack B. Yeats, it includes contemporary practitioners like Dorothy Cross, Willie Doherty, Nick Miller, Kathy Prendergast and Sean Scully, as well as emerging artists including Niamh O’Malley, Caoimhe Kilfeather and Samuel Laurence Cunnane.